Sharing the books in my heart with children has been a dream of mine since my youth. I’m a children’s book author and illustrator. I’m not alone in that. It seems like everyone I talk to has a picture book inside them just waiting to be written. We children’s writers are passionate people. We love words and have tales to share with the world. I have two picture books I wrote and illustrated that where transformed into iPad apps a few years back. Parents and their kids loved Glory in the Morning and Love You to the Moon and Back, so I decided to try to have them published traditionally. 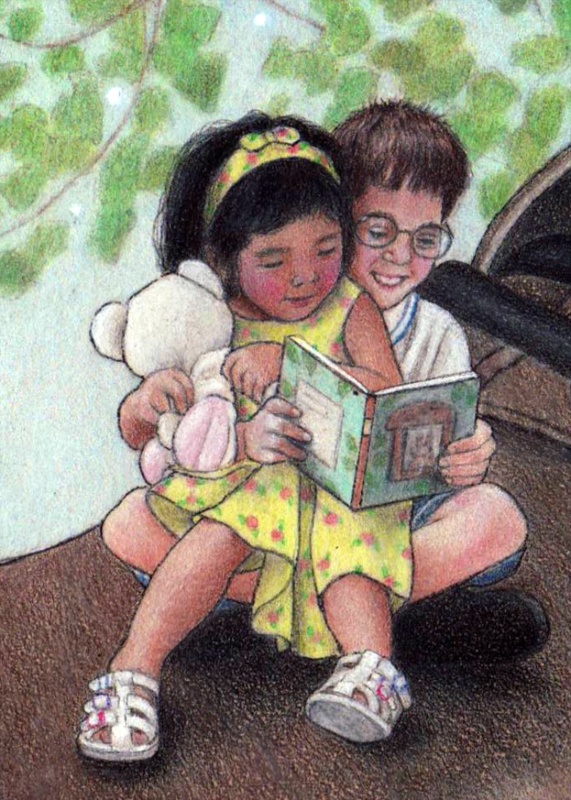 There is nothing like snuggling a child in your arms while reading them a storybook, right? Thus began a three year process of submitting my books to publishers and agents. Over and over again, they were turned down. Most of the rejections were sweetened with compliments about my art, but no one thought my stories were marketable. I had all but given up on my dream when I heard an interview with author Hugh Howie. He self-published his mega successful science fiction novel, Wool and sold it on Amazon. What really peaked my interest is when he explained how cost effective self-publishing can be today. 1) These days it’s nearly impossible to break into the traditional publishing world. The main reason for this is that book companies need a certain number of sales guaranteed. They are in business to make money and with the high cost of advances and printing they’re much less willing to take risks. That means submissions from unknown authors, who lack a robust social platform, hardly gets a glance. Nowadays, most publishing houses only read manuscripts submitted by agents. Finding a literary agent is as difficult as finding a publisher, unless you are a celebrity, of course. 2) Publishing houses expect authors to market their books. Book companies don’t do the marketing for their titles like they did ten years ago. No longer are authors assigned a publicist to arrange interviews and book tours. Authors are expected to do that themselves. They’re also expected to have a social media following to initiate sales. In light of that, I know of quite a few successful, traditionally published authors who have decided to self-publish and pour their social media energies into promoting their indie book. 3) Amazon makes self-publishing easy and economical. Amazon has partnered with print-on-demand publisher CreateSpace. With no set up fees, all you need to do is upload your book to CreateSpace’s website to have it printed on demand (in America!) and sold on Amazon. This seemingly daunting task is made easy with all the help they provide. They give you access to all the tools needed to design a book cover and upload your manuscript in the proper file format. Any questions will be cheerfully answered by their around-the-clock, knowledgeable phone staff. Because I had the ability to create my own illustrations, the only money I had to put out was to have my book edited. It’s a great feeling to have a royalty placed in my account whenever one of my books is sold on Amazon. 4) The power has been given back to the writer. If you have a story to tell, it’s a wonderful time to be alive. Self-publishing gives authors creative control. My gratitude runs deep for CEO Jeff Bezos of Amazon. From what I see, he is bending over backwards to support indie authors. He has given us the tools to take the stories that live in our hearts and put them into the hands of readers. He’s made it possible for me to publish my books when the cost of printing thousands of copies through offset printing was not an option for me. Now every time someone orders one of my books on Amazon, CreateSpace digitally prints and ships it to the purchaser at no cost to me. The only downside is there is no option to have hard cover editions made. I got past that disappointment when I remembered Beatrix Potter, author and illustrator of “Peter Rabbit” fame. After she couldn’t find a publisher, she decided to dip into her savings and self-publish her little gem of a book. The high price of printing made her settle for publishing The Tale of Peter Rabbit with a color frontispiece and black and white interior woodblock engravings. After her book begin flying off toy store shelves, it was picked up by publisher Frederick R. Warne and made into the beautiful full color edition that is still in print today. If you are a frustrated children’s author, ready to take a leap and see your story in print, I wish you much success on your journey. Who knows, maybe you will be the next big success story with publishing house representatives lined up at your door waiting to sign you on. 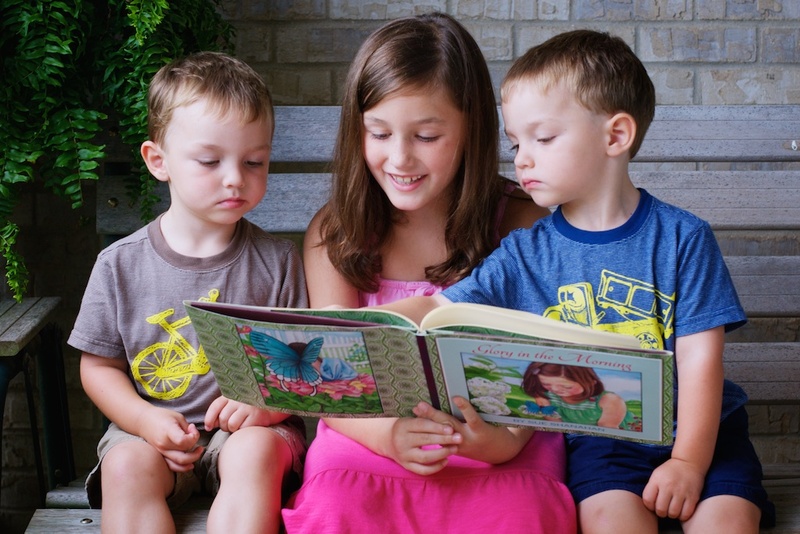 My niece and nephews reading an expensive, (I could only afford to have a few printed) hardcover copy of “Glory in the Morning.” Today, thanks to CreateSpace and Amazon, an affordable version is in the hands of children across the country and across the ocean. This story also appeared on MariaShriver.com — THE most inspiring place on the web. Live from the inside out. That’s my motto for the year. I have put the kibosh on following social convention and fulfilling other’s expectations. Living in a box of someone else’s making leaves little room for sharing your gifts with the world. 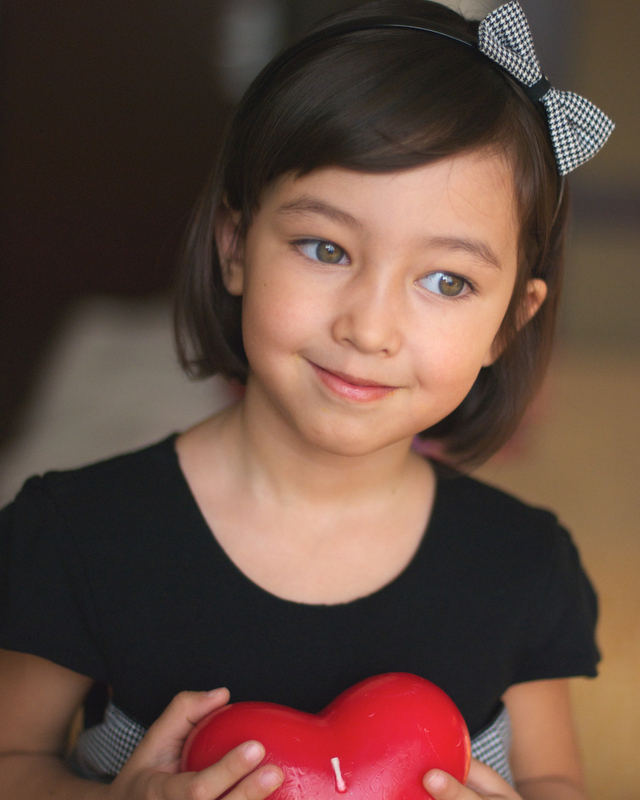 Over the years, I’ve learned to actually feel when my heart is speaking to me. It takes quieting the mind to discern the embedded whisper. Granted, many times I’ve ignored that guidance and gone into my brain. There is nothing like trying to reason your way to safety for a sense of false security. Being safe and being an artist do not go hand in hand. Allegra was the perfect model for my illustration. 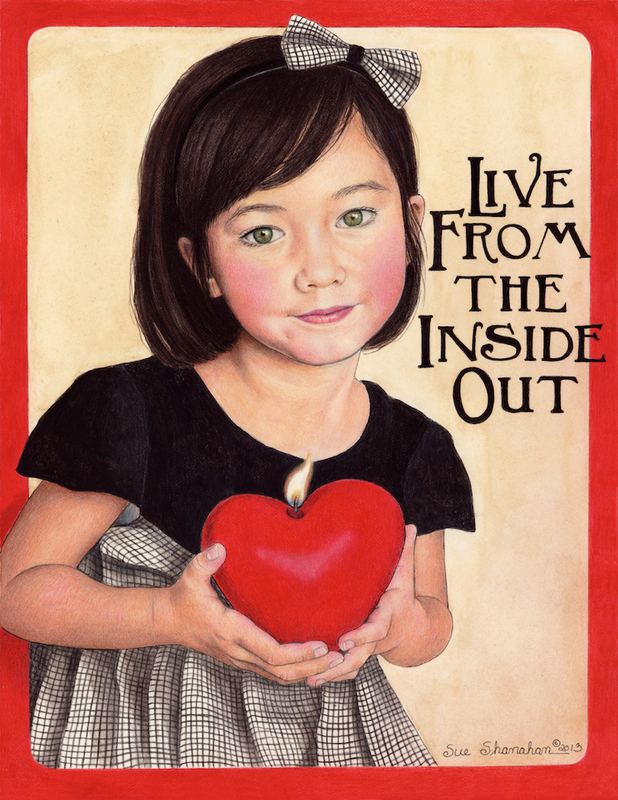 Living from the inside out is something she was born doing.